Product prices and availability are accurate as of 2019-04-21 07:59:47 UTC and are subject to change. Any price and availability information displayed on http://www.amazon.com/ at the time of purchase will apply to the purchase of this product. Author Bookstand is proud to offer Berray Mountain: A Rite of Passage by Bookstand Publishing. Bookstand Publishing offers books by the best indie authors throughout North America and the world. Bookstand Publishing is dedicated to offering original content to a broad audience and promoting great authors, literacy, and freedom of expression. 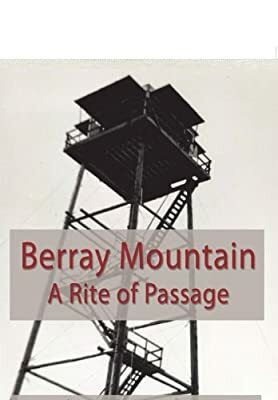 Berray Mountain: A Rite of Passage has generated a lot of interest and excitement and we think it would be an excellent addition to your library. A boy of sixteen leaves the comfort and safety of East Coast suburbia for the Rocky Mountains of Montana to work for the U.S. Forest Service during the summer of 1943. It was an adventure unique to the times. World War II was raging, manpower on the home front scarce, and thousands of square miles of national forests had to be protected and cared for. The Forest Service needed young men just under draft age to fill this need. Originally hired to work on control of the white pine blister rust, the author and his buddy, Frank, fell into a very different type of work when the Forest Ranger at Thompson Falls, Montana took a liking to them and sent them to the little village of Noxon a bit further west where they joined a small crew working on trail maintenance. Their new jobs took them to some of the most wild and untrammeled reaches of the Cabinet National Forest where they lived and worked on the rugged trails to the fire towers on the mountain tops. It was in that role that they developed the skills, strength and stamina it took to work and survive in a wilderness far different from anything they had experienced before. In July and August they were each assigned to serve as fire lookouts on some of the highest peaks where each lived alone as sentinels watching over hundreds of miles of forests spread below them. Living alone in a fifty foot tall, wooden tower atop 6600 foot Berray Mountain, miles from civilization engendered profound changes in the author's rate of maturation. Dealing with the total isolation and loneliness took constant determination, and the responsibilities of the job weighed heavily. Each day presented a psychological battle to be fought while attempting to carry out assigned duties and work projects as well. The experience was truly "a rite of passage." Chronological age meant nothing. In the author's words: "It was the summer I became a man."